Internationally renowned modern hymn writers and recording artists Keith & Kristyn Getty are set to bring their popular “Joy – An Irish Christmas” Tour to 18 stateside cities this holiday season. Presented in partnership with Compassion International and Redeemer Seminary, the tour will launch November 29 in Louisville, Kentucky. With slated stops at Atlanta's Cobb Energy Performing Arts Centre; Houston's Cullen Theater at Wortham Center; the Bob Carr Performing Arts Centre in Orlando, Florida; and the Durham Performing Arts Center in Durham, North Carolina, among other cities, the "Joy - An Irish Christmas" Tour will culminate for the second consecutive year at Nashville’s prestigious Schermerhorn Symphony Center December 23. An evening of beloved carols, modern hymns, and spirited Irish reels and jigs that capture the wonder and beauty of Christmas in Keith & Kristyn Getty’s signature style, the tour is highlighted by the couple’s acclaimed ensemble of top Irish and American folk musicians, including Fionan de Barra of Broadway’s Riverdance, Jeff Taylor (Vince Gill, The Chieftains), and Uilleann piper Patrick D'Arcy, among others. 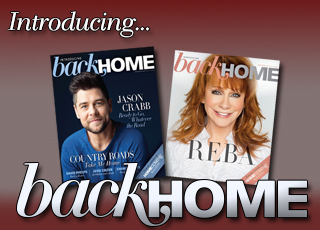 In each city, a combined choir from various local churches will also join the couple and band onstage. Following the concert, the band will present a special encore lobby performance for attendees. A tradition inaugurated last year at select dates, the popular post-concert music sessions, also including Irish dancing, will be featured in all 18 cities this season. Keith & Kristyn Getty’s 2011 debut holiday recording, Joy – An Irish Christmas features the Irish Film Orchestra and Anuna, Ireland’s National Choir, among numerous acclaimed musicians, and showcases a range of international influences, including Eastern European, Basque and American bluegrass. Song titles include the Getty co-penned hymns “Joy Has Dawned” and “Jesus Joy of the Highest Heaven (A Children’s Carol),” along with such classic carols as “God Rest Ye Merry Gentlemen” and “Hark! The Herald Angels Sing,” among other original selections and traditional Irish reels and jigs. Hymns for the Christian Life, the couple’s latest project, released last month to critical acclaim, debuting at #5 on Nielsen Christian SoundScan’s Adult Contemporary chart. Produced by Charlie Peacock (The Civil Wars, Switchfoot) and Ed Cash (Chris Tomlin, Kari Jobe), the album features guest appearances from bluegrass icon Ricky Skaggs and Clannad’s Moya Brennan, as well as a special 10th anniversary recording of “In Christ Alone” (co-penned by Keith Getty and Stuart Townend) with 27-time GRAMMY® Award-winner Alison Krauss. Among the preeminent modern hymn composers of this generation, Keith & Kristyn Getty are writers of an acclaimed repertoire of 21st century hymns, revered both for their theologically astute lyrics and universally beloved melodies. The couple’s popular U.S. recordings also include In Christ Alone and Awaken The Dawn, and they have shared their music at Franklin Graham crusades, the GMA Dove Awards, The Third Lausanne Conference on World Evangelization, as well as feature performances at London’s Royal Albert Hall and the legendary Grand Ole Opry, among many other noted platforms. 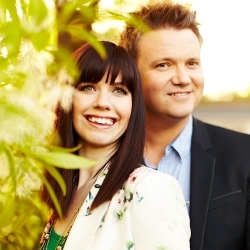 For a complete list of tour dates, visit www.gettymusic.com/tour.aspx or www.turningpointpr.com.